An early oak bureau from the first half of the 18th century. It has a good interior with a well. It has 3 locks because it was the property of the Shakespeare Hotel, Stratford-upon-Avon. The 3 locks meant that it could only be opened when all 3 keyholders were present. 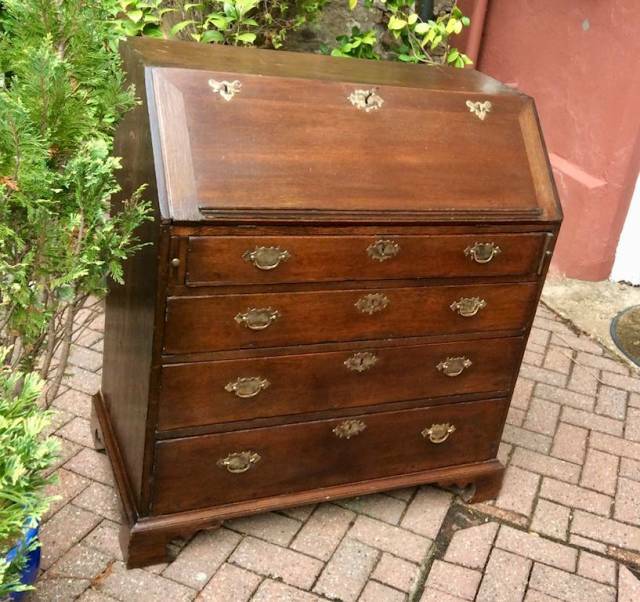 It’s a lovely quality piece, all the drawers having lovely thin oak linings.